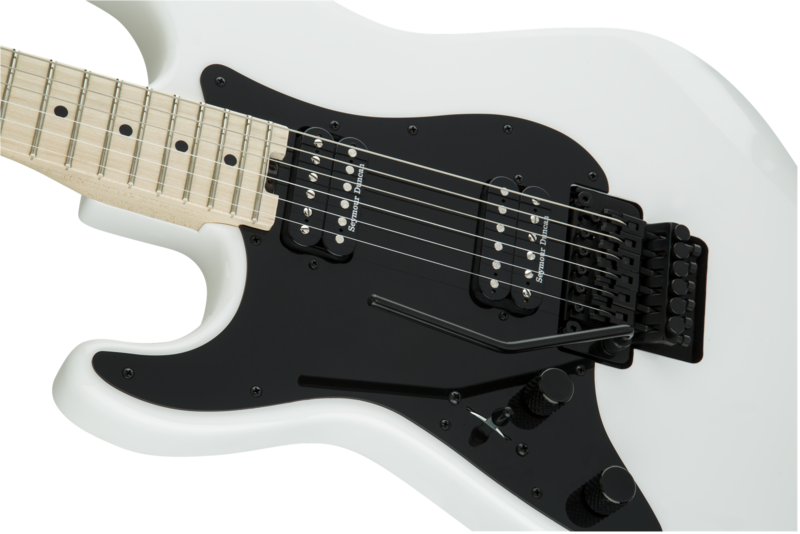 Ready and waiting for the lefty guitarist, the Charvel® Pro-Mod So-Cal Style 1 HH FR M LH is a slick performer with features and sound every guitarist will appreciate. 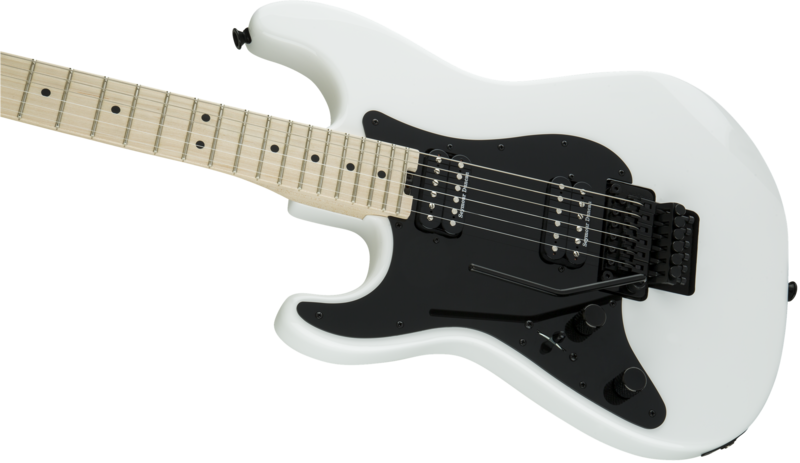 Born from a love of high-speed playing and smooth style, this guitar is packed with the classic playability and innovative design elements that have made Charvel a legendary name in high performance axes. Constructed with an alder body, this So-Cal Style 1 has a two-piece maple neck with a pair of graphite reinforcement rods for rock-solid stability and a speed neck profile with hand-rubbed urethane back finish for smooth playing comfort. 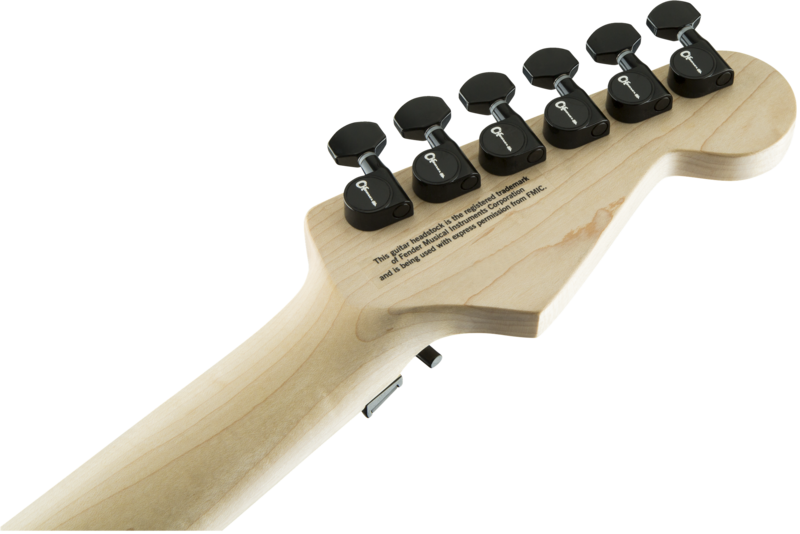 Engineered for effortlessly nimble playing, the 12”-16” compound radius maple fingerboard features 22 jumbo frets, black dot inlays and a conveniently located heel-mount truss rod adjustment wheel. 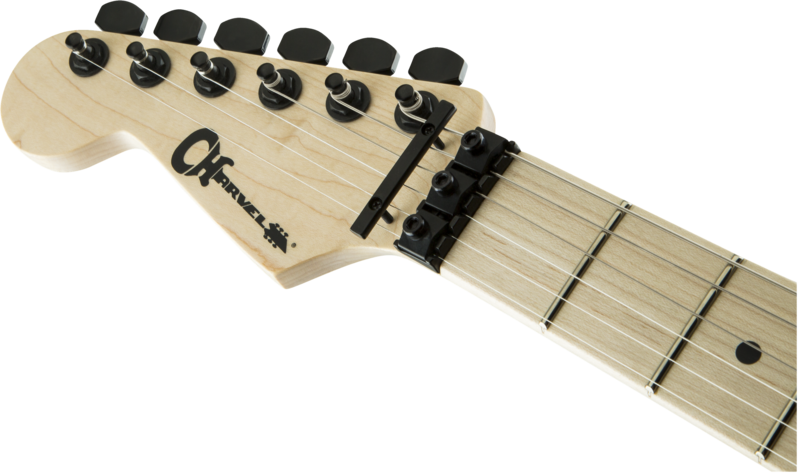 Hot-rodded for unparalleled performance and versatile sound, this instrument hosts a high-output Seymour Duncan® TB-6 Distortion humbucking bridge pickup and a warm, fat Seymour Duncan® SH-6N Distortion humbucking neck pickup for killer tone. The volume control hides a push/pull coil split for even more highly useful tonal variations, ideal for everything from a biting lead sound to thick, chunky rhythm work. Scream or rumble with the Floyd Rose® 1000 Series double-locking tremolo system without sacrificing tuning stability or the pinpoint intonation. 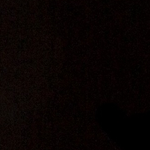 NEW Snow White finish coming MARCH 2019!